Welcome to the Lavaca School District website. This site offers a brief overview of our learning community. The Lavaca School District is committed to providing students with a quality education that will prepare them to be lifelong learners and productive citizens of a democratic society. As educators we are committed to the service of each other, our students, and our community. Our rural district serves approximately 820 students in grades K-12 and is located ten miles East of Fort Smith, Arkansas. Lavaca has a population of approximately two thousand and covers an area of fifty-seven square miles. It is bordered on the North by the Arkansas River and on the West and South by the lush acres of Fort Chaffee. The three schools making up the district are within a one-half mile area on Highway 255. Lavaca High School has approximately 255 students in grades 9-12. 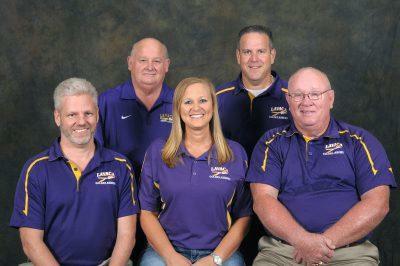 Lavaca Middle Schools serves 280 students in grades 5-8, and Lavaca Elementary serves 285 students in grades K-4. 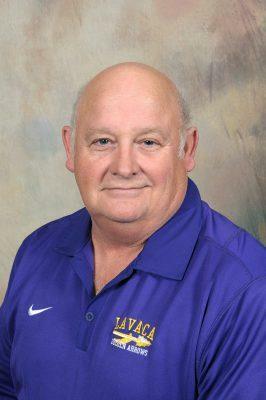 Perry Newman is the current President of the Lavaca School Board and has served on the board for eleven years. Perry Newman graduated from Lavaca High School in 1976 and attended Arkansas Valley Vocational Technical School and graduated in 1978. He and his wife Sandy have three daughters, Jennifer, Sara, and Rachel. He has worked at Arkansas Oklahoma Gas Company for 25 years and is the Director of Gas Control. He is the Region 4 Director of the Arkansas School Board Association and has been active in education on both the state and local level. It is his goal to improve education not only in Lavaca but statewide. 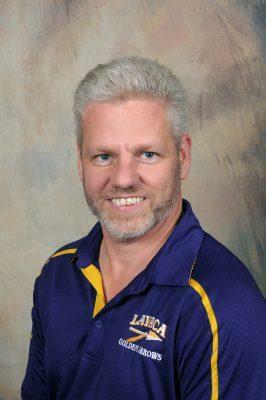 His vision is for the Lavaca school system to be known as the best school in the state of Arkansas. Perry is very active in Lavaca First Baptist Church which he teaches 8th and 9th grade boys and is active in the student ministries program. Ronnie A. 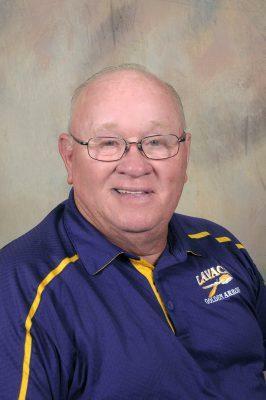 Dean graduated from Lavaca High School in 1962 and attended Fort Smith Junior College on an athletic scholarship. He graduated in 1964 with an Associate of Arts Degree. Ronnie and his wife Sherry have three daughters. His daughter Angela is married to Chase Carter. He has two other daughters, Anita and Amanda. Ronnie and Sherry are the proud grandparents of eight grandchildren. In November of 1967 Ronnie moved to a job as night shift computer operator for Data-Tronics Corporation. He feels that he is blessed to have worked for the same company as Manager of the Computer Center for so long and was able to retire in 2006. Craig graduated from Lavaca High School in 1990 and went on to receive his bachelor’s degree in Accounting from the University of Arkansas. He is the Chief Financial Officer for Trinity Multifamily. Craig and his wife Sheryl have four daughters- Abby, Ally, Ashlyn, and Anniston, and are also foster parents. Craig is a very active member of First Baptist Lavaca. 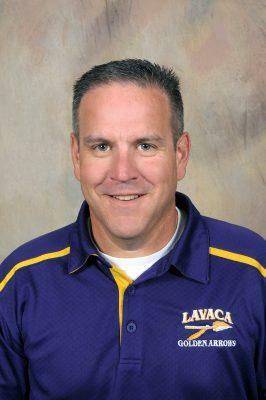 Darren Smithson is a life-long resident of Lavaca and a 1990 graduate of Lavaca High School. He is employed by Farmers Insurance Group as a Quality Assurance Team Manager. Darren and his wife Dawn have 5 children, Isaac, Grace, Kaylen, Leland and Aden . Darren serves in several ministries at First Baptist Lavaca. Tricia May is a Vice President at Armstrong Bank over Consumer Lending. Tricia and Husband Rob have 2 girls Beth Ann and Katie. She is an active member of First Southern Baptist Church in Central City. 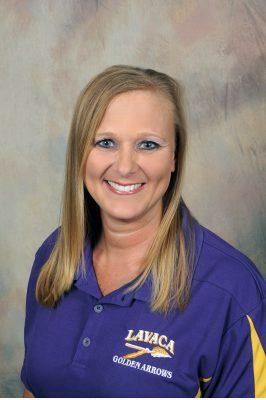 She is also active in PTO and Booster Club at Lavaca.